Bishop, formerly known as NanoRacks Airlock Module, is a small commercial airlock module attached to the ISS. 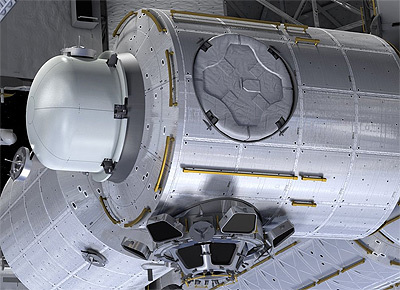 The NanoRacks Airlock Module will offer five times the satellite deployment volume than current opportunities available on the Space Station today. Nanoracks is the prime contractor, with Thales Alenia Space building the pressurized shell and Boeing providing the berthing mechanism. Launch is planned for 2020 with the Dragon CRS-21 cargo mission.